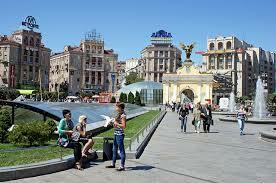 Cheaper Car Hire in Ukraine - Compare SUV, MPV & Minibus lower rental costs in Ukraine. Here you can compare reduced rates on car rental for the Ukraine, that have savings on MPV, SUV and minivan rental for 7 or 9 passengers. Save on the local price that you would pay with Budget, Europcar and Easy Cars. Free Upgrades - Budget are known to offer these on some cars, so keep an eye out. We provide vehicles at the following locations: Dnepropetrovsk Airport, Kiev Airport and city, Lviv Airport and downtown, Odessa and Simferopol Airports. If your intend driving a rental car in the Crimean Peninsula region, please consider the 4x4 rental option to help you climb the steep, snowy slopes. Rental packages have all inclusive car hire rates. We offer extra like GPS, extra drivers and child seats that are paid for locally. Get unlimited mileage, breakdown recovery & CDW, with extra cover options available. Amendments are without fee and cancellations are also free up to two days before collection. It is located in the middle of Europe, between Poland, Romania and Russia. Whilst driving your automobile around the Ukraine, you must visit some of the major cities including Kiev, Yalta and Odessa. 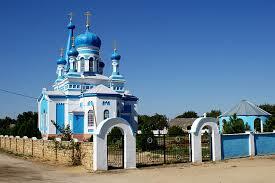 Ukraine consists mainly of fertile plains, or steppes, with a few plateaus. Mountains do exist but only in the west region, that includes the Carpathians. Compare cheaper rental vehicles in Ukraine. Get reduced rates for a 7 seat minivan in Kiev. Rent an SUV or estate through us. The Carpathians are a good skiing region. If you are off skiing, then we have your needs covered, with the option to book snow tyres, ski racks and snow chains as extras. 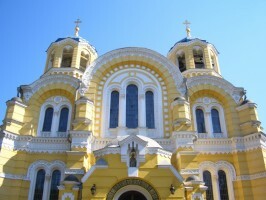 Kiev is the capital and can be found on the Dnipro River. Looking for car hire in Eastern Europe? Compare rates in Poland, Estonia and Latvia.